When it comes to the audio, you can not rely on the built-in mic only; you need to support it with an external one too. And that’s where Rode products come to the scene. You have probably seen youtubers or vloggers using one of the Rode’s products as they are widely used by intermediate videographers and professional filmmakers. Especially Rode’s videomic pro or go, you might be wondering why these two and what is the difference between them, and why almost every youtuber is using one of them. Therefore, in this article we will be explaining the specifications of each microphone. Also , we will compare the two products; Rode Videomic Pro Vs Rode vidoemic Go. As a start, if we want to compare Rode’s videomic go vs pro, we would start with the similarities. As these two microphones are very easy to use, produce good audio quality at a reasonable price and widely known in the field of Filmmaking. So, if you are about to shoot a new video, one thing you need to keep in mind is the quality of your video footages and Audio. You can have a totally great video with great scenes and footages but if the audio is bad; it will drag down your whole production. Your viewers will expect to watch a video that has the best audio and video qualities, the hissing in the sound will earn you nothing but a dislike and thumbs down. That’s why you will need to upgrade your gears for a little bit if you want to improve the quality of your video. In this post, we will shed the lights on the features, pros and cons of the RODE videomic Pro VS RODE videomic Go. Continue reading if you want to upgrade your audio gear! 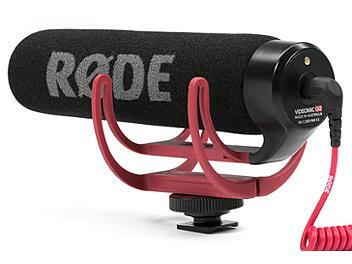 When you ask any DSLR videomaker, Youtubers or any vloggers about what kind of audio gear there are using, you’ll definitely hear the name RODE. Don’t get me wrong, there are other microphones out there in the market but Rode is widely known and used. RODE videomic pro is one of the good microphones that rode has which can be used with DSLR cameras and also Camcorders as well. The videomic pro is a very lightweight microphone that weights at 85g, and at 150mm/6” length. Powered by a 9v battery that lasts for more than 70 hours, the Videomic pro will not use your camera’s battery to operate. The battery compartment is located in the front of the body, just beneath the mic capsule itself. The videomic pro is a directional microphone with A super-cardioid polar pattern, that provides better isolation from room noise. And the recording will be focused on the subject in front of your camera. The RODE PRO had a very lightweight and compact design which make it easy to run and shoot with it. Its condenser capsule has a super-cardioid pickup pattern, which allows it to capture clean audio from the front and minimize pickups from the sides. It has an integrated Shock mount that minimizes wind noise and keeps your recordings so clear. The Rode pro offers the 3-way level control; which is -10dB, 0dB, and +20dB modes . This will allow you to choose the perfect level for you. Not to forget the high pass filter, there is a 2-step high pass filter with (flat, 80Hz)settings which allow minimizing any distractions. The Rode pro has Camera shoe mount with 3/8” thread for easy boom pole mounting. Long battery life; up to 70 hours on a single 9V battery. The Rode videomic Go was called by this name because it is very easy and convenient to use; just plug it and go shooting. The videomic Go doesn’t need a battery as it uses the camera’s own battery to function, for that reason the videomic go doesn’t support certain DSLR camera ( Check compatibility before the purchase here). It is a high-quality directional microphone, it focuses on the audio picked up in the front of the mic and reduces all surrounding and background noises. The Rode videomic GO is a lightweight microphone at only 2.6 ounces which makes it perfect for handheld shooting. The microphone features an integrated Lyre shock mount for isolation from bumps and vibration. Battery-free; does not need a battery to operate instead it operates on the plug-in power from your camera’s 3.5mm microphone input. Note: the microphone will not work with cameras that don’t supply plug-in power to their 3.5mm audio input jack. It is not compatible with the Nikon D7000. However, to be more sure about your camera model you can always contact RODE and ask them directly. The Rode pro has Camera shoe mount with 3/8”thread. 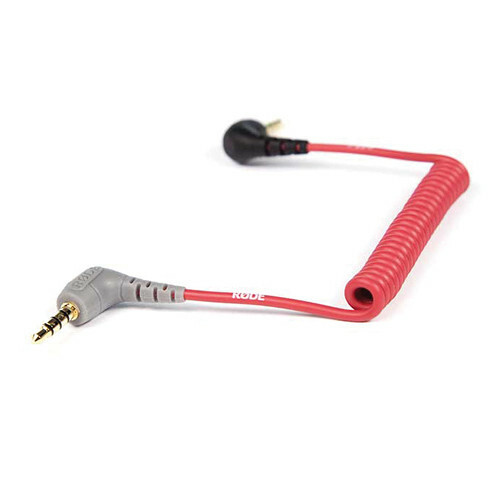 It has a foam windshield and 7.9″ dual mono 3.5mm coiled output cable. Rode videomic Go: No physical buttons or switches; you won’t forget to turn it on. Rode videomic Go: its Physical design makes it difficult to use the viewfinder of your DRLS while using this mic. Rode videomic Pro: it has a highpass filter and a switch that lets you switch between -10 DB, 0DB and 20+ DB switches to control signal output.Which means you can turn the input level on your DSLR or mirrorless camera to a very low level, and that’s will give you quieter noise. Can I use Rode pro / Rode go with iPhone or iPad? Yes, you can definitely use both the RODE Pro and the Rode Go with iPhone and ipads, However, The mic comes with a cable for DSLR/camcorder use. To use it with the iPad or iPhone you will need the Rode SC7 TRS to TRRS patch cable we sell which is compatible with Rode videomic Go. Or you need to get mic adapter that is compatible with Rode videomic Pro. Can I shoot youtube video using RODE videomic pro and Rode videomic go? Yes, they both are super great microphones that deliver great quality, and they are so easy to be used and lightweight too. Most of the Youtubers are using one of these two mics to record their videos.